We’d love for you to join us as an annual member. Being a member is one of the most important ways you can help us reach our goals as a community, plus you get loads of cool perks! 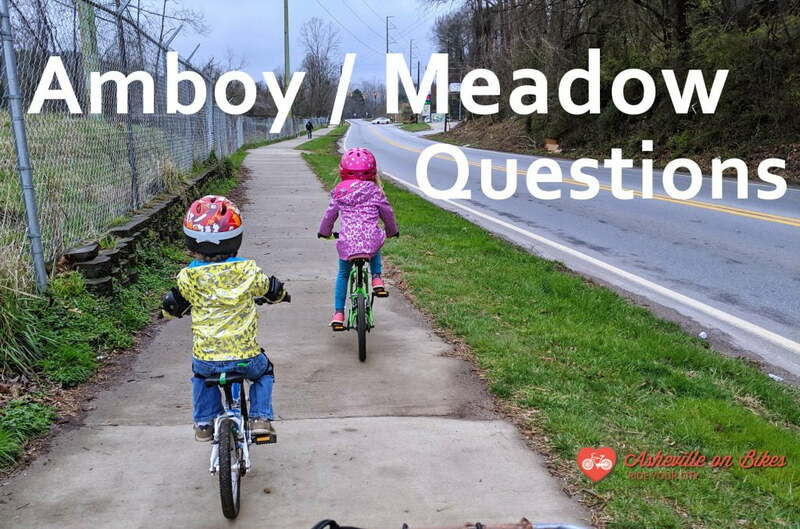 Maintaining an annual membership is the single easiest step you can take towards safer roads, sidewalks, better bike lanes, and a more livable Asheville for us all. It’s only $22/year. 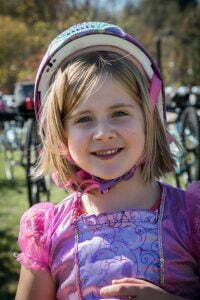 CLICK HERE TO JOIN ASHEVILLE ON BIKES! NEW for 2019! Bicycle Benefits! Get automatic discounts at dozens of your favorite local shops & restaurants with your Bicycle Benefits helmet sticker. Finding discounts is easy. Just visit Bicycle Benefits, click “Nearby,” and voila! Your Bicycle Benefits also work in any participating city in the USA (you still gotta show your helmet sticker). 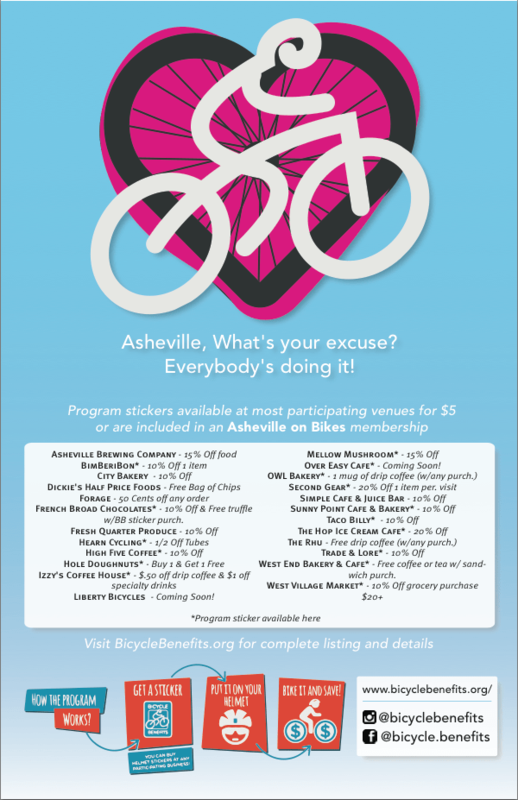 Follow the Asheville Bicycle Benefits Facebook page for the latest deals. NEW for 2019! The official AoB Scout Book. A special passport just for members. Collect stamps & earn prizes for participating in AoB activities, from group rides to Bike Love to calling your state representative to oppose bad bicycle legislation. NEW for 2019! Access to our Ride With GPS club account for turn by turn directions on our events and our secret member’s only ride library. Participate in group rides and annual events. There’s something every month of the year! Annual membership fees are just $22 per person, and worth every penny. Thank you! 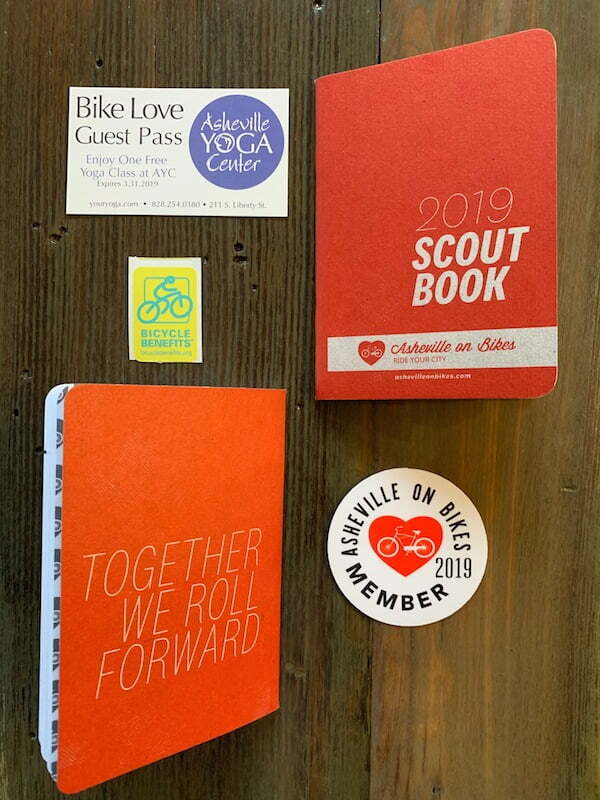 Get a FREE Bicycle Benefits sticker when you join or renew your AoB membership in 2019.